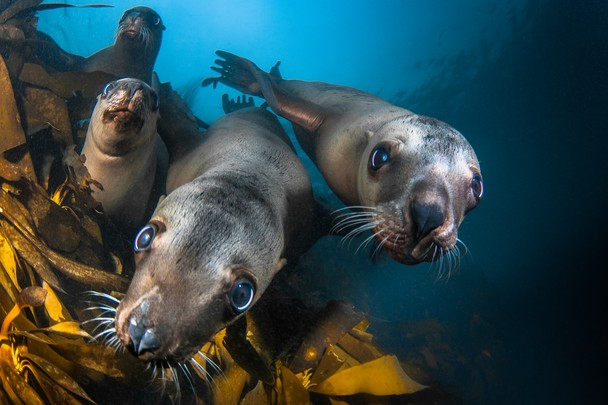 Underwater photographers are a unique breed of picture-takers. They venture into the mysterious depths of the ocean to discover interesting and unusual things and then capture an image for the rest of us to see. 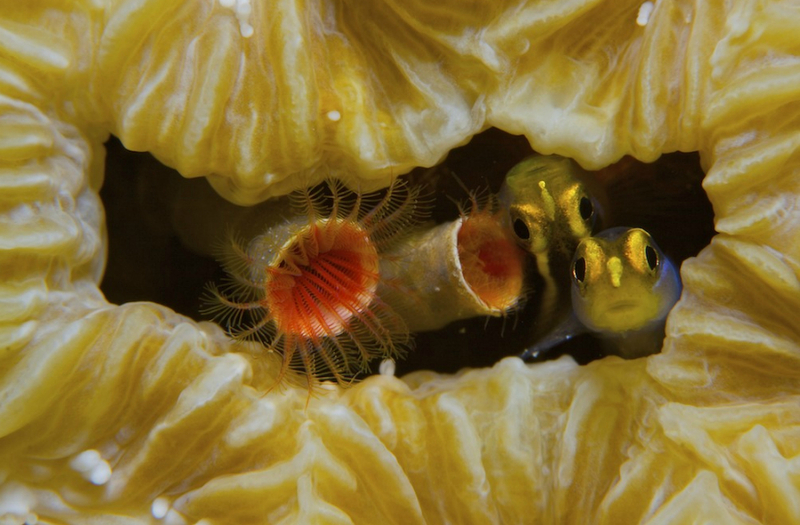 This stunning photo of clownfish, taken by Canadian Qing Lin while diving in Indonesia, is titled “Your Home and My Home.” It shows three clownfish, each with a parasitic isopod in its mouth. 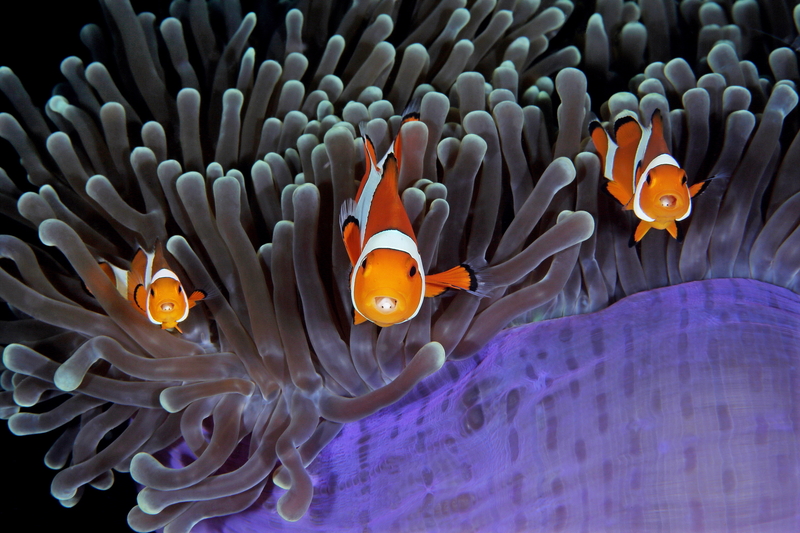 Meanwhile, as many people know, clownfish themselves live in a symbiotic relationship with the sea anemone. 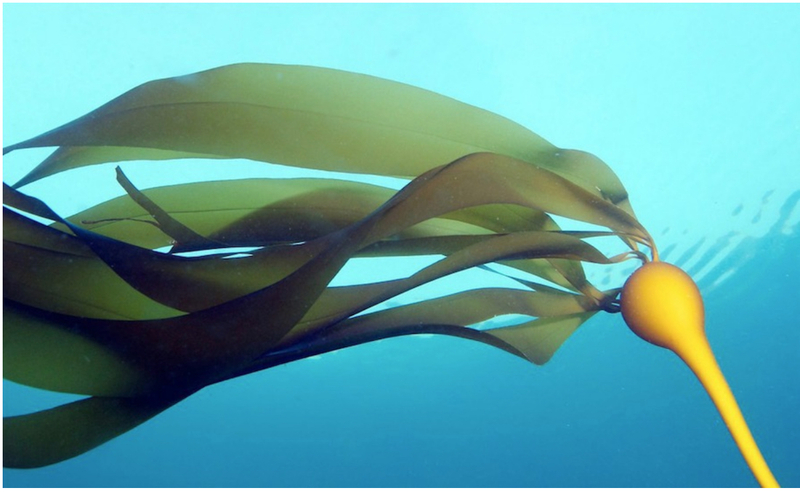 The fish protect the anemone from small fish that would eat them, while the anemone’s stinging tentacles protect the clownfish from larger predators. 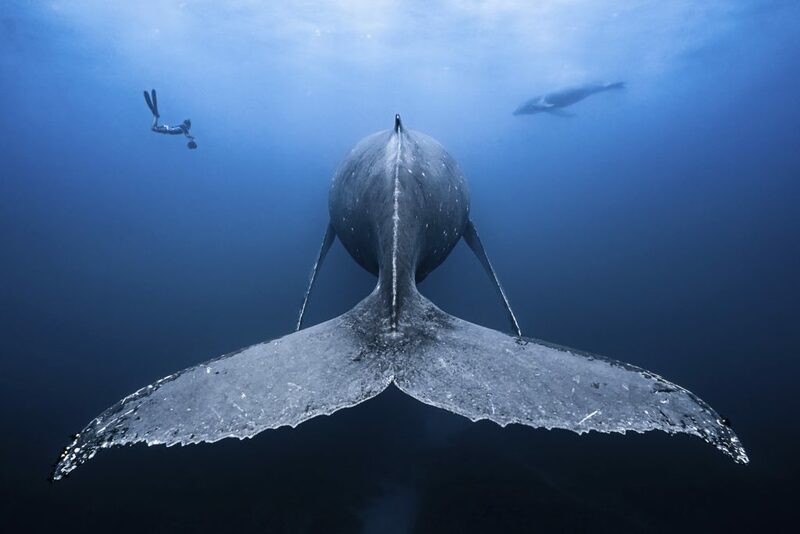 Winners in this year’s National Wildlife Photo Contest range from an image showing a vast school of fish dwarfing a human swimmer to a picture catching the gaze between a female gorilla and her baby. 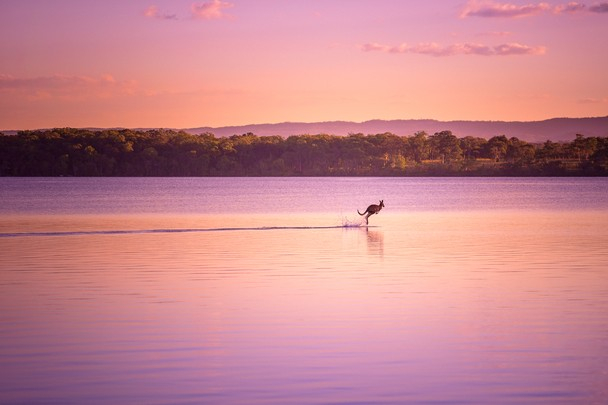 Now in its 45th year of competition, the contest garners thousands of entries from throughout the world as well as from people’s own backyards. 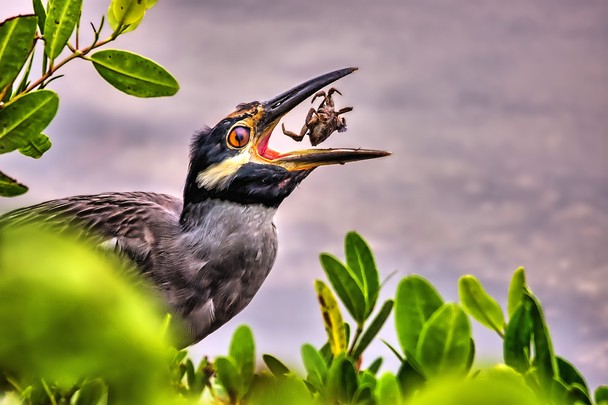 I am always pleased to feature the winners of the contest, which is sponsored by “National Wildlife” magazine and National Wildlife Federation. Judges base their selections on originality, technical execution and true-to-nature accuracy. 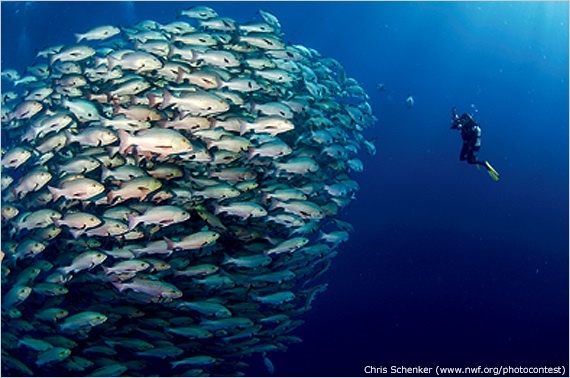 The first picture on this page, taken by Chris Schenker of Hopkinton, Mass., took first place in a category called “Connecting people with nature.” Schenker caught the image of the swirling mass of bohar snappers off Egypt’s Sinai Peninsula. The diver, who was taking pictures of the fish, added an appropriate perspective to the scene. 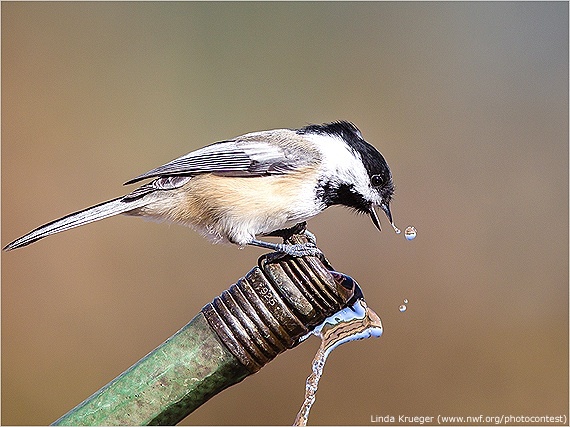 At the other end of the size scale, a black-capped chickadee was caught getting a drink from a garden hose by photographer Linda Krueger. Krueger was washing her car when she noticed several birds flying in. She propped up the hose and grabbed the shot when the bird landed on the end of the hose. 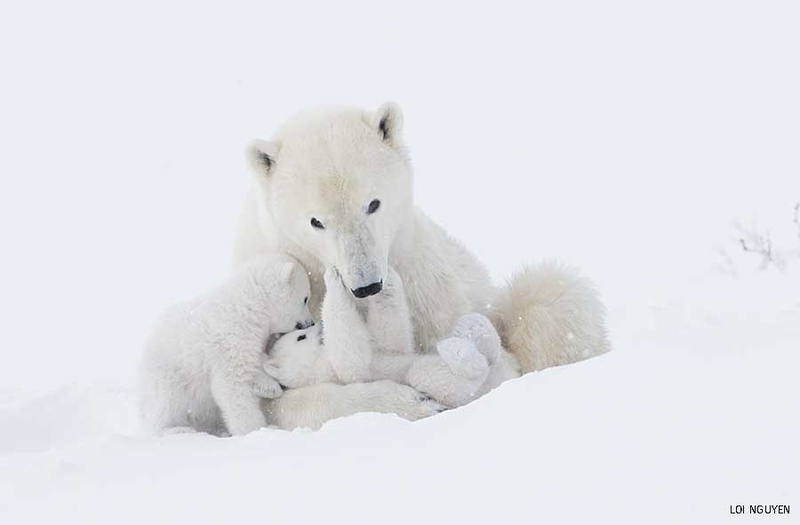 The photo took second place in the “Backyard habitat” category. Krueger and her husband Kevin participate in the Certified Wildlife Habitat program, sponsored by National Wildlife Federation. 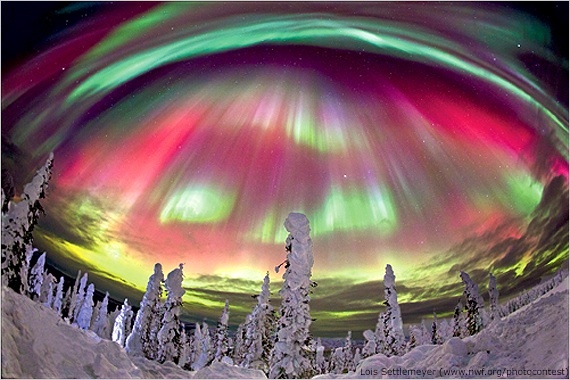 They own 20 acres with native plants, bird feeders, nest boxes and a backyard pond in Hastings, Minn.
Lois Settlemeyer’s photo of the Aurora Borealis shining among the trees in northern Alaska won first place in the “Landscapes and plant life” category.